A little while ago our lovely friend Andreea (Artdonatella) asked have we ever had a falling out over makeup - especially makeup for the blog. Of course not we said, and really on the surface we are very democratic here at Emeraldeyeliner - we definitely have our interests. Sile is our tan aficionado and I love my bright lips so often we know straight away what products the other will be interested in, so no fights. Plus the fact that Sile is one of the most laid back and ladylike people I have ever met. You see we are very grown up and mature (snort) so we would never fall out over something like makeup hmmm. But then the memory of Smashbox Love Me collection came to mind (this story is dramatised for your reading pleasure). A little while ago I had the pleasure of attending a Smashbox masterclass. Now Smashbox is a brand that I have bought a few things from here and there - generally they have amazing eye palettes and sets that catch my eye - but they are now a little more accessible with stands in larger Boots and Arnotts. During the Masterclass the Spring Collection eye shadow palette was used in Admire Me*. Smashbox's spring collection was in collaboration with Curtis Kulig, a renowned street artist whose artwork has been used to "tag" the collection with the words 'Love Me'. It's a very exciting collaboration where the products are simple and classic yet with the edge of the Curtis Kulig artwork. I thought that the palette Admire me was stunning, it had been a little while since I had bought a Smashbox shadow so I was blown away by the quality. The shadows were soft and pigmented - I was so impressed I thought they were right up there with my favourite eye shadows from Stila and Bare Minerals (if you read this blog you will know what an honour it is being compared to Stila - my favourite brand), possibly even better. The colours were the perfect mix of 5 shades - and what I love is that the shades that you would use more of are are given larger space in the pan. The moment I saw the palette I was in love but I also immediately thought - these are totally Sile's kinda colours, I was right. Sile was in love too. And there started the war. 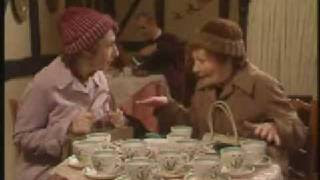 When I mean war it was possibly the most polite argument you have ever seen regarding anything - it all went a bit Mrs Doyle and her friend trying to pay for tea. Ah it's lovely you have it, no you like it you have it. (After about 5 to 10 minutes) the teeth begin to grit and the intensity of us thinking the other should keep the palette is more pronounced as the palettes was pushed between us. Lets have a little look at this famous palette. As you can see the palette's design is really interesting - the colours swirl in the same form as the Love Me design and the lighter colours that you would use more of are given a bigger space - for me this is genius. Normally if I am being honest I don't get excited about brown shadows or tones but look at how beautiful they are .... I love all of them (maybe with exception to the matt shade which is second on the right end but I am not crazy about matt shades). These shadows are really impressive, they are the kind of shadows that you swatch and automatically ooooooo out really loud. As I have said, they are pigmented and soft in stunning shades and the shadows can be used dry or wet. For the best impact Smashbox recommend wetting the shade you want to stand out - in this case the neutral champagne shade in the middle which was used on the eye lid - and use the rest of the shades dry as they will blend better. An interesting tip from Smashbox was to use the rose gold shade (second from left above) above the crease, normally I would use a dark shade in the crease and I thought my small eyes would not suit this look but the shade brightens the whole eye area. I used the dark shade as a liner and it completes a simple and pretty look. So by the looks of this post it looks like I won our "argument" but I didn't. Sile has primary care of the Adore Me palette. It would take an awful lot for me and Sile to fall out and the beauty and amazing quality of Smashbox Adore Me palette nearly brought us to it - but how can you fall out over something with such a positive message like "love me"? You might be looking for a blush and as part of the Love Me Collection Smashbox have released the perfect Spring Summer Blush in Idolize Me - you can see from above it gives a beautiful glow to your cheeks and is the perfect peach/ pink mix. I added a little bit of Smashbox's Artificial Light in Diffuse to add a shimmer to my cheekbones (which basically creates cheekbones). Smashbox Eye Shadow Palette Admire Me costs €32.00 which is a brilliant price for 5 eye shadows and better still when you feel the quality of the shadows and the blush in Idolize Me costs €29.00. You can buy Smashbox from larger Boots and from Arnotts and also from their website which gives free shipping (I love that) where you can check out the rest of the Love Me Collection here. I don't know about you but if Spring is this pretty I can't wait for Summer. We have a friend who's obsessed with teeth and hair (hi Esther!). Not just teeth and hair in general, that would be weird, but her own and looking after them. She likes other areas of beauty too of course, but she's right when you think of it, if your teeth and hair are well maintained, you've gone a long way to looking good. I think she'll be interested in Pearlys teeth whitening products (in fact, she's probably already using them). We've been trying out Pearlys Daily Teeth-Whiten Foam* (€25) and Pearlys Weekly Teeth Brighten Powder (€16.50). The foam is recommended for twice daily use, along with your regular tooth paste - you simply squeeze it on top of tooth paste and brush your teeth as normal. Pearlys say it will visibly whiten your teeth after two weeks of twice daily use - I can't say I've noticed significant whitening but then I didn't take 'before' pictures (my bad). I do feel that it is adding a little somethin' somethin' on top of my normal teeth cleaning though, my teeth seem more sparkly if that makes sense. Now the Weekly Teeth Brighten Powder, I LOVE. 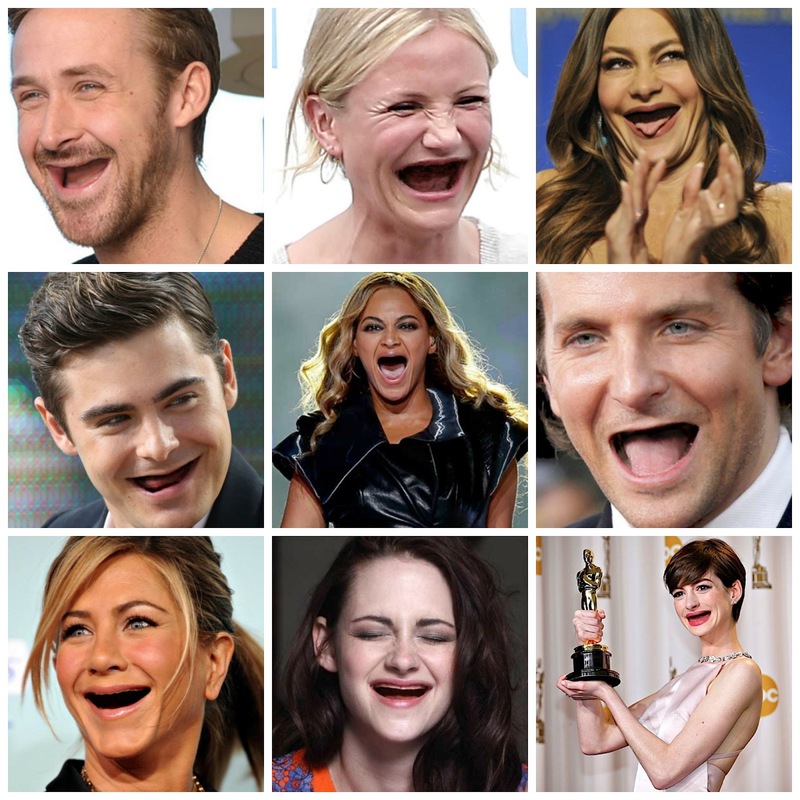 You know when you get your teeth professionally cleaned at the dentist or hygienist and they use that gritty stuff to buff your teeth that makes them feel super clean? That's what this is like. Recommended for use once a week, it acts as an exfoliant, lifting plaque and staining off the surface of the teeth. It leaves your mouth feeling so clean - you won't be able to stop running your tongue over your teeth. Pearlys also do a Teeth Whitening Pen for on the go touch ups and a Professional Home Kit for more heavy duty whitening. All products are available from pharmacies nationwide and Beauty Features. Do you do anything above and beyond the usual when looking after your teeth? Looking at these pics of celebs with no teeth makes you realise how important they are to our overall looks! Oh Maybelline hurry up and bring out Babylips this side of the Atlantic. I was very lucky to be sent Melon Mania by my friend Yessie. It's a beautiful bright pink lip balm that leaves a light tint on the lips. As you will see from the swatch below it doesn't leave intense colour, just your lips but better and shinier. Don't fear, these babies will be hitting our shops soon - I don't have an exact date. I hope that Maybelline keep them as affordable as they are Stateside. My only downside with these is I find them a bit addictive. Vichy Normaderm Hyaluspot* is spot treatment that works. I could end the review there really, because I have wasted so much money on 'miracle spot treatments' over the years, that it really is somewhat of a novelty to find one that actually does what it's supposed to do. This is a gel which combines salicylic acid to treat the spot and purify the area, and hyaluronic acid to moisturise the skin, preventing it from drying out. Flaky skin is something you normally have to put up with as a side effect of spot treatments, so this is a genius combo. Vichy say that it creates a plaster-like effect on the skin which isolates the imperfection, reduces bacterial contamination and stops the spot development within two hours. It also has anti-inflammatory properties and encourages the skins’ own natural healing processes. I applied this to a spot on my *ahem* decolletage the other night (oh the glamour - somehow the words 'spot' and 'decolletage' don't quite go well together do they?). As I sat in bed watching telly, I literally watched the spot transform from big angry red pulsating spot into timid little insignificant spot within a couple of hours. By the next day it was more or less gone altogether. Usually it would have gotten bigger until I wouldn't have been able to resist the urge to pick at it, and then it would have hung around for weeks. Vichy recommend that you apply this using the metal applicator (which does feel nice and cool against the skin) but unless you are disinfecting it each time, I'd imagine it could get a bit icky. I prefer to squeeze it onto my finger and apply it that way. Anything else you need to know? It's non comedogenic, paraben and silicone free, dermatologically tested and costs a very reasonable €10. You only need a tiny bit each time so the little tube will last you for ages. So, now that your skin blemish problems are sorted, Vichy's On the Spot Hero is on hand to help you with all your other daily dilemmas, from inappropriate outfits to burnt dinners. Like Vichy on Facebook to check out his, eh, words of wisdom ;-) He even made us a personal video. Whatta man! I think I can forgive him for pronouncing my name wrong, and for having better eyebrows than me for that matter. I am the kind of person that marketing teams dream about, I see an advertisement and get caught up in the excitement of the whole thing. 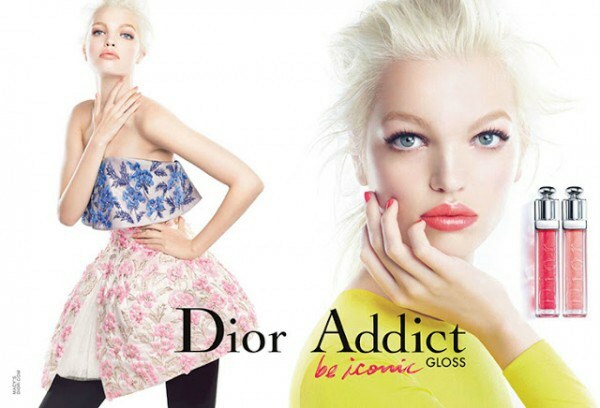 When I saw the visual for Dior Addict Be Iconic Gloss I have to admit I was totally sucked in. I wanted beautiful pouty glossy lips. Part of my mind gets swept away and thinks I am going to look like the advert. I know, I know it's silly but how simple and elegant is the picture - I want to look simple and elegant while also looking pouty and mysterious. Is that too much to ask for? A lot of people have gone off lip gloss (did you know the Lipstick Index is an actual economic "Thing"? During recessionary times women want better value for money); some people won't even remember that a few simple years ago ladies didn't wear lipstick at all - it was lip gloss all the way (of course I always felt jealous of those people who didn't live in a windy country, during lip gloss' heyday - where there is lip gloss and wind, there is hair attached to lips). There is nothing that will quite make the lips look as juicy and kissable looking as lip gloss (this is somewhat ironic because there is nothing that lads like less than kissing lip gloss attached to a woman). The Be Iconic glosses come in 24 different shades. I loved the idea of the clear jelly like glosses (they also have some that have a shimmer). So much choice but I of course went for one of the more vibrant shades - 853 Rouge Defendu. For me the colour looks like raspberry jam - or like you have been sucking on fresh fruit or eating an ice lolly. Ok so I don't look exactly like the advertisement but I think the colour is build able and very pretty. I really like the feeling on the lips, it's very moisturising and best of all not at all sticky, with a slight fruity taste. The consistency is so nice and smooth and when you rub your lips together there is no "lip gloop". Course it's me so I like a little more oomph to my lip colour so I have found the perfect pal for my Be Iconic Lip Gloss and that is a very affordable and a very pretty Matte Red Lip Colour from Elf. Sometimes I apply the Elf colour and then a bit of Dior on top. In the picture below I applied Dior and then applied the Elf lip colour on top. Be Iconic glosses are really nice glosses, they feel light and moisturising and feel more like a treatment than a gloss. The bad news? They cost €29.00 which is the price of a small house (OK OK it's the price of a small dog house or perhaps a goldfish bowl). They are expensive. I probably won't be picking up another one anytime soon although I will enjoy using this one - while I try to ignore the visuals of the Dior Birds of Paradise Summer Collection. A small side note - when I was looking at the lip glosses, the Sales Assistant asked would I like to try it on, but of course I did (swatching on the hand is not a sufficient test when testing for lip gloop). She proceeded to apply about 10 different products and finished with the gloss. When she finished she asked "is there anything you would like to treat yourself to today?" Why yes the lip gloss that I asked about approximately 27 minutes and 10 products ago. "Great" she said but then ruined it all by saying "Is there anything else you would like to treat yourself to... and then went on to point out the other 9 products she used. Now I understand that Sales Assistants have targets to meet and are under a lot of pressure to meet them, but us customers are also under a bit of pressure and the guilt of me spending €29.00 (yep not cheap) on a lip gloss (which is possibly all my grocery money for the week or disposable income for the month) is bad enough without feeling like the worst person in the world cause she spent ages applying the lip gloss (and other 9 unnecessary products) and the lip gloss was all I bought. A few years ago when there was such a thing as "disposable income", I would have bought a couple of products one of which would have just been a guilt purchase but now I am being strong. 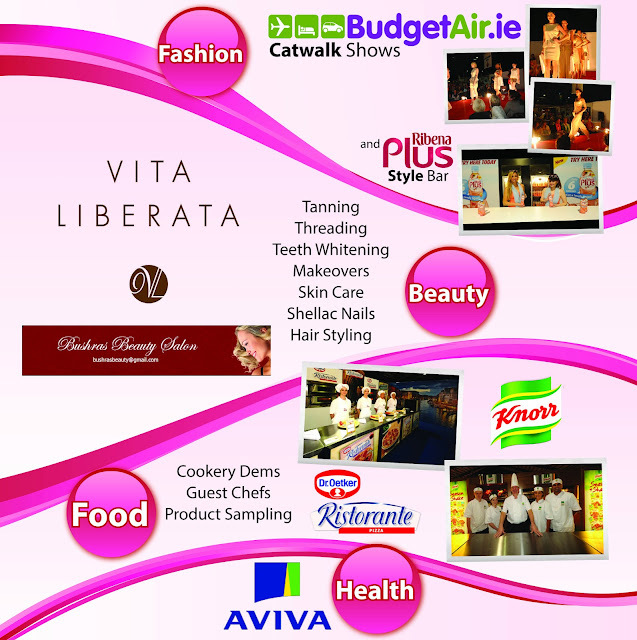 For the past 16 years women have flocked to the Woman's World show in the RDS. It's a popular stop off to look at interesting stands and to collect your race number for the Women's Mini Marathon. Normally tickets to The Woman's World Show cost €12.00 but for a limited time you can download your free ticket (here) or if you download the Woman's World App (here). With exhibitors such as Vita Liberata, Sleep In Rollers and Sketchers (Oh lordy I do love Sketchers) it's a great day out and even better if you get free tickets. The Woman's World Show runs from Friday 31st May until Sunday the 2nd of June. Hello My name is Mags and I am a Stila-a-holic, you already knew that though didn't you. That's why I attend the weekly meetings that are held in my head. I visit Stila.co.uk like most people Facebook stalk their exes - in an unhealthy and slightly creepy manner. A couple of weeks ago Stila launched their new and rather wonderful Color Balm Lipsticks (you might have read a post I already did about Valentina* here). Well as the weeks passed I have manged to collect a couple more of these amazing lipstick/balm/stains and when I say a couple I mean 5. In fact you could call this a bit of a Color Balm Extravaganza. I love the Color Balm lipsticks, I even got them their own little house (in Homestore & More and don't worry these €2.99 holders are always in stock, none of their emotional blackmail "when they are gone they are gone" business). This range consists of 18 fab shades so in the words of Jaws - I think we're gonna need a bigger boat. Color Balms feel lovely and moisturising on the lips, they have a balm texture but with intense colour, they also have a minty flavor. 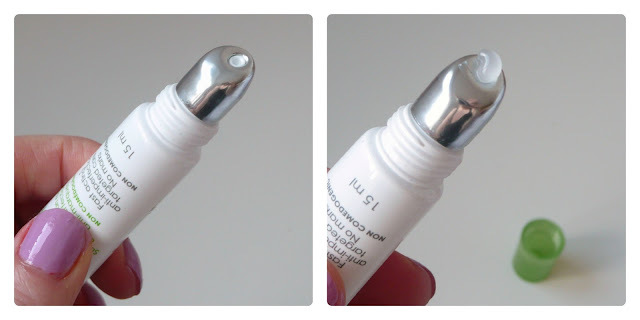 The colour on the inside is reflected by the name Stila on the side of the tube and the top of the tube has a nifty little mirror which is great for me cause I tend to pop my lippy in my jeans pocket. As you can see above the lipsticks are beautifully pigmented and leave a shine. Gemma - which Stila describes as a Pink Violet- this is different than anything I own, I like to use a lip brush to finish off the cupids bow of my lips with Gemma because the colour is so intense. Valentina - Orange Poppy - is a stunning Orange red, it's like a flame on your lips, I find this easier to wear than most reds because it's a moisturising product and my lips can be quite dry. Elle - Pink Coral- If you're looking for a more wearable version of MAC Viva Glam Nicki (which is an impossible to wear tone on me) this is the way to go. It's a bubble gum pink shade. Amelia - Pink Taupe - this shade surprised me most of all, if you know me, I go for the most obnoxious and vibrant shades of lipstick but I find myself reaching for Amelia, for me it's a neutral lip that just looks so pretty. Betsey - Fuchsia - My heart belongs to Betsey, I had to wait a while before getting my hands on this baby. I stalked the counter (and of course at this stage that when I mean stalked I mean I would greet the counter with "Hi I am stalking the Color Balm in Betsey, is it in yet" - sometimes there wouldn't even be a sales assistant (Hi Sue) at the counter I would just speak to the other products) and stalk the site until finally it came into stock and boy it was worth the wait. It's the kind of shade that brightens the whole face. Below doesn't really show its full glory - it's a stunning shade. So what else do you need to know about these amazing lipsticks? Well they are a part of the permanent collection (woo hoo), there are 18 shades and well they are flipping great - cause I am not that much of a weirdo to have gone out and bought that many if they are crap. Color Balm Lipsticks cost £16.00 or €19.00. Something interesting to note is they are a little bit shorter in length than other lipsticks but that's cause they are a bit chubbier - which is great for quick application but if you have very thin or narrow lips it might make you feel a little inadequate, I find them grand and I am no Angelina Jolie. This is one of the reasons I like to use a lip brush around the cupids bow on the more vibrant shades (I should possibly do this with all lipsticks but really.... ain't nobody got time for that). Here is Amelia looking all pretty - if you look at the picture above you will see that the lipsticks are now ahem... well loved. If I was to recommend one shade it would be Betsey because its a FAB- U- LOUS shade which enlivens your face. It really was worth the wait, I never take it out of my bag. Stila have a wonderful new Summer Collection called Festival of Colour. I am on a bit of a shopping ban until my Birthday in June but be warned there will be some major self gifting ahead. The collection looks like an amazing 70s tye dye festival, but you know, prettier and less need for Vicks when you use the toilets - to be honest with you I love the idea of being a bit of a hippy in Ibiza on a beach and that's what this collection conjures up for me (although my mother tells me that I like my sleep too much to be a hippy and if I was to be a proper Ibiza type hippy I would have to stay up all night doing cool hippy things - I simply say "If I was a hippy I could do what I like, cause I am a hippy"). Soon my pretties. A Benefit Cosmetics masterclass in a private room in The Morgan where you can play with Benefit products, get your make-up done and learn some tips and tricks from Benefit staff. Tapas platters and cocktails to get the party started during the masterclass! 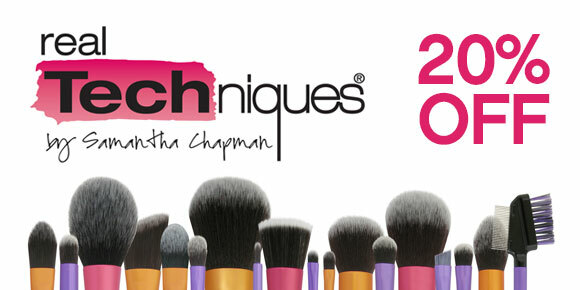 A Benefit goodie bag containing sample size products and other treats to take home with you. 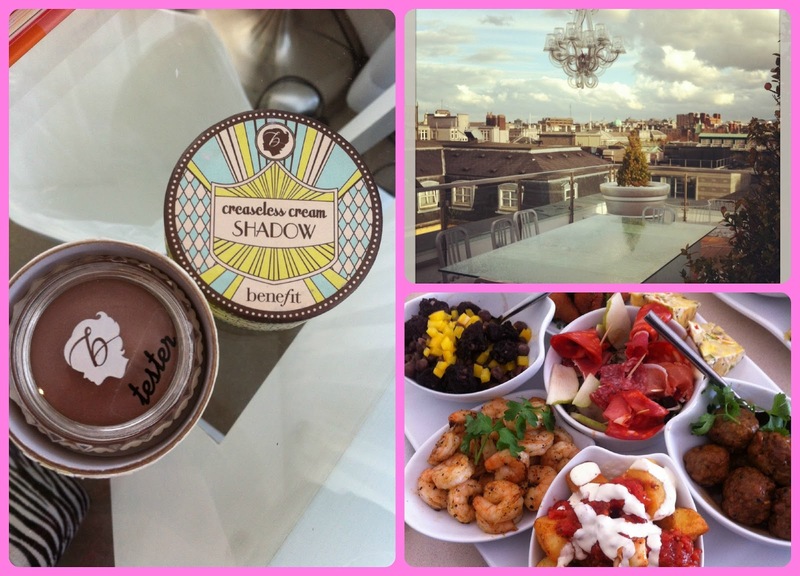 Benefit's new re-formulated Creaseless Cream eyeshadows, the penthouse terrace at The Morgan, yum tapas! Prices are from a reasonable €100 per person. A minimum of ten people is required but this would be perfect for a hen party. For bookings and enquiries, contact The Morgan. I've taken a step outside my hair comfort zone recently - that comfort zone being Pantene Aqua Light shampoo and conditioner, which I have used religiously for years. I have the kind of hair that starts looking lank and greasy (ugh) the day after it's washed, and before the days of dry shampoo and my beloved Aqua Light it really needed to be washed every day to look half way decent. With Aqua Light, my hair feels really clean and light and I can get away with not washing my hair for up to three days if need be without turning into a total greaseball. (Sorry if all this talk of grease and not washing my hair is TMI!). So you can see why I've stuck with it, but the problem with it is, prolonged use has made my hair dry at the ends, and fly-away. 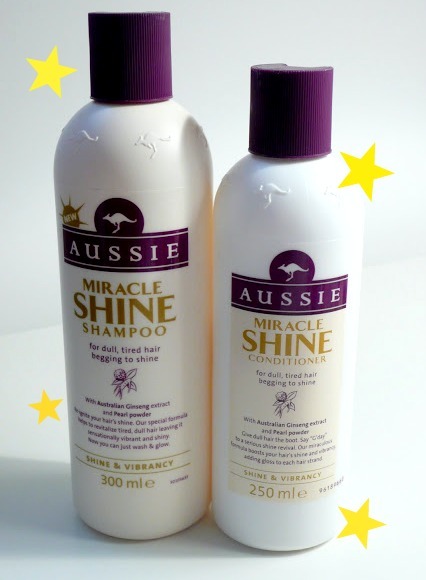 Recently, I've been trying out the original Mane 'N Tail shampoo and conditioner* which I didn't get on well with (although Mags liked the Deep Moisturizing version) and Aussie Miracle Shine shampoo and conditioner*. Now, normally I wouldn't touch any shampoo promising shiny hair with a barge pole, because shine equals silicone and in my mind, silicone equals lank, heavy hair. Not with Miracle Shine, I'm happy to report. These products make my hair super soft, sleek and shiny, but without the weight. And I'm still getting a few days out of a blow dry. Sold! Ah, the Irish summer. It was great for those two days that it lasted. Over the May bank holiday weekend, I got out the sandals and summer dresses and optimistically packed away my jumpers and Uggs. I don't care if it feels like we're in the depths of winter again, they're not coming back out until at least September. I'm nothing if not hopeful (read: delusional)! Another part of the aesthetic that gets a bit of a shake up with the change of the seasons is, of course, the nails. Out come the brights, the neons and the pastels, while the red and dark vampy polishes get banished to the back of the collection again for a few months. These are some of our favourite summery polishes from recent collections. From left to right: Barry M Greenberry from their Gelly Collection - Max Factor Marshmallow* from the Glossfinity Collection - NYC Lexington Yellow* from the Vivid City Collection - Sally Hansen Purple Heart* from the Sorbet Soirée Collection - Rimmel Jazz Funk* from the Salon Pro Kate Moss Collection - Bourjois Adorea Bleu* from the Rendez Vous à Paris Collection - Sally Hansen Get Juiced* from the Sorbet Soirée Collection. I'll also be cracking open old summer favourites like Essie's Bikini So Teeny, American Apparel Neon Red, and Orly Oh Cabana Boy. Do you have favourite summer nail polishes? After the bank holiday weekend I don't think that Beyonce is ready for the jelly of my belly but this weekend is unofficially BEYONCE Weekend as she is set to perform in Dublin and drive us all Beyonce Crazy. While I am not lucky enough to have tickets I have seen her perform before where she literally took my breath away, she is so stunning. So this weekend I might not get the opportunity to be stunned into silence (no small task) by Beyonce's beauty and talent but I can enjoy the smell of Beyonce - well her latest perfume release anyway. Pulse NYC* was created by Beyonce and inspired by her adopted home, the city of New York. She wanted to pay an ode to the city that never sleeps and created a bottle which looks like a skyscraper and a beautiful scent which is perfect for spring, which is my favourite time in New York. Base notes take on a more sensuous nature with notes of patchouli, cashmere musk and red velvet cupcake. I have to be honest when I heard that Beyonce wanted the scent to capture the scent of New York I was a little sceptical, I have been to New York a number of times, it's my favourite place on earth to escape with the girls, or your sisters (I am afraid to bring himself in case he will give out about the crowds and ruin the whole New York experience on me.) New York can be an assault on your senses, the bright lights the noise of fire engines and police cars and the smell. Well lets just say I think of how New York smells and I think of garbage and multiple restaurants. The fragrance is young and sweet like New York on a spring day (the best time to visit), it's bright and full of promise. Sweet but not sickly sweet. Modern but not bonkers. I have some love/hate feelings about the bottle. I love that it represents a sky scraper, it's sleek and minimal and there are beautiful details (like a B on the underside of the bottle). The blue lid/top represents one of Beyonce's stage outfits and this is the bit of the bottle that I don't like, on your counter it looks great, very modern in a "I'm not sure if this painting is upside down or not" kind of way - but it is way too bulky to carry in a handbag and it would get knocked off in the bulk of my bag. The bottle has been carefully designed with beautifully sleek features but if they had a removable little lid that would be perfect. Beyonce Pulse NYC is available now and costs €25.95 for 30ml which is good value for a perfume. So if you're missing out on the Beyonce Concerts this weekend, stick on a Beyonce CD, buy this perfume and dance around the living room shaking your booty - or in my case my recently inflated belly. 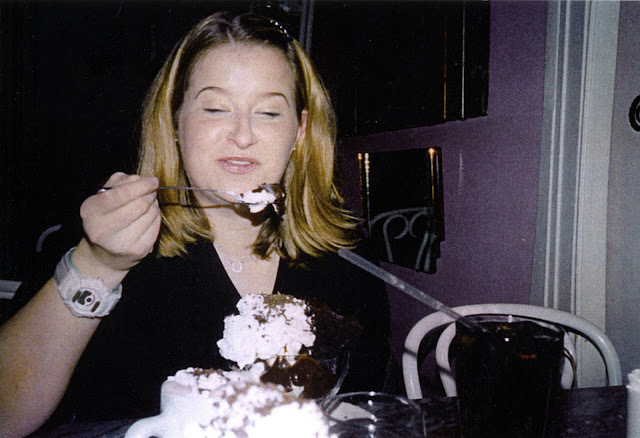 reason 3 - did you see the size of that dessert that's a lot of sugar. We couldn't get over how massive the dishes were - looking back at the pictures they don't look too big (only the size of my head) which is kinda scary cause obviously our portion sizes have gone up a lot in the past number of years. 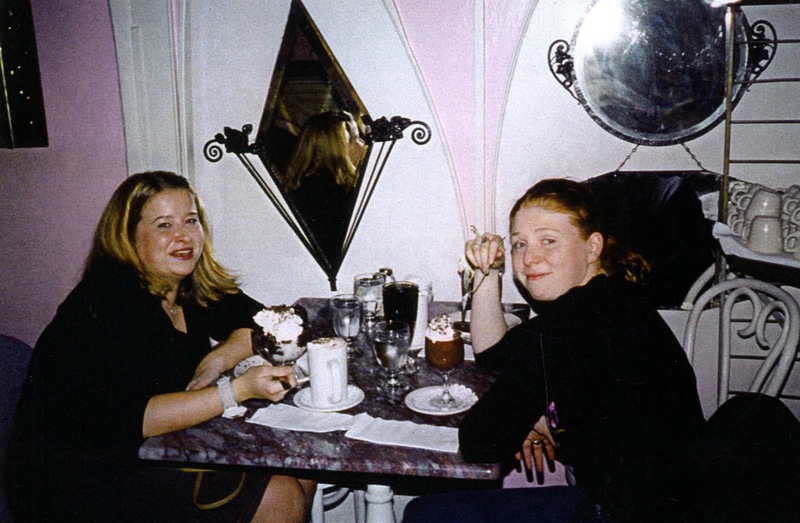 Yep I am just so happy eating my massive desert and wearing a Baby G watch in a non ironic way (I am dating myself here but really they were the Michael Kors of their day). (I think I might also be wearing a Carrie style horse shoe necklace that I bought in Chinatown and promptly broke out in a massive rash from). 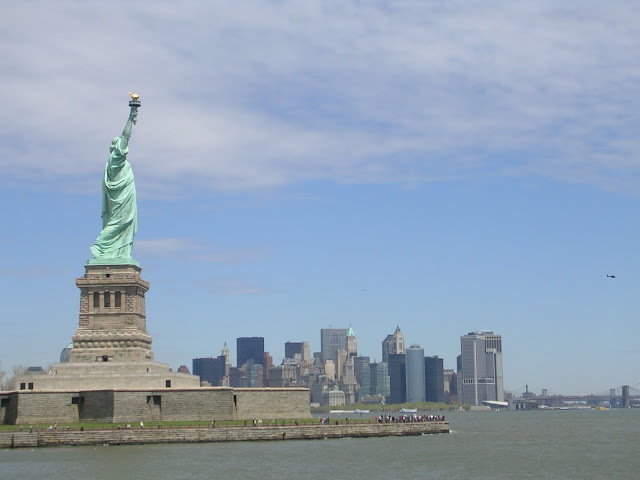 Ah New York what an amazing place.